Epson, a leader in professional printing, has achieved the number one position in the graphics market for large format signage printers amongst ASEAN countries in the 3rd quarter period of 2016 to the 1st quarter period of 2017. The most recent findings from IDC reveal that Epson has taken the top spot in this segment with a market share of 19.9%. The achievement demonstrates the company’s market leadership in the region and its pioneering innovation in large format graphics printing. Epson professional printers combine high volume and high speed production printing with quality print output along with affordability, which has helped its growth in the region. The company has continued to lead in the commercial and industrial printer markets for photo graphics, signage, textile and label printing amongst printing providers, retail stores and the like, expanding in the Southeast Asia region. At the core of Epson’s professional printers is its PrecisionCore printhead technology consisting of the Thin-Film Piezo print chip built using precision MEMS manufacturing technology for high performance printing. Using no heat, the PrecisionCore print chips enable the development of superior Epson ink formulations that can print across a variety of media ranging from posters and signage banners and other creative installations. Multi-size dot control delivers precision printing for high-volume and high-speed printing applications. 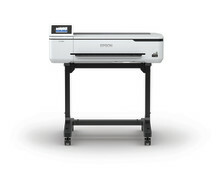 Alongside this achievement, Epson has continued to expand its digital textile printing business in the region, with its flagship digital textile printer model, the SureColor SC-F9270 emerging as the number one large format printer in the graphics market in Vietnam for dye-sublimation inks in 2016. There continues to be growing demand for large format printing globally. According to IDC, large format printer (LFP) shipments and revenue grew by more than 4% year over year in 2016. 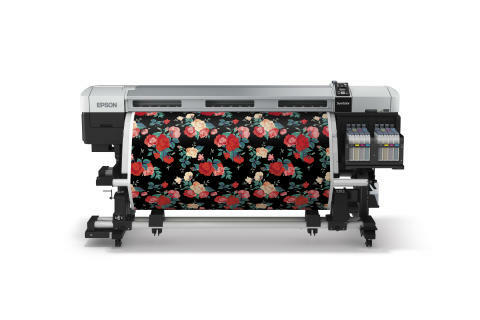 And in the digital textile printing industry, Smithers Pira forecasts 17.5% annual growth for digital textile print, with a revenue growth forecast at an annual average of 12.3% for 2016 to 2021. “The signage, textiles and label industries are high growth markets, and we aim to continue to drive growth in the region. Especially in the textiles industry, we aim to accelerate the industry shift to digital to support the demand for short-run print jobs. We will continue to leverage our strengths in our core technologies to introduce new innovations that will help our customers to strengthen their business and lower their overall total cost of production,” said Shuji Hamaguchi, Regional General Manager (SE Asia), Professional Printing Division, Epson Singapore. IDCAsia/PacificQuarterlyLargeFormatPrinterTracker, Q1 2017 – Forsolvent, eco-solventandlatexinktypes. Findingsrefertolargeformatprinterssize “45” &above”. IDCAsia/PacificQuarterlyLargeFormatPrinterTracker, Q1 2017 – Fordye-sublimationinktypesforperiodQ1 2016 toQ4 2016.